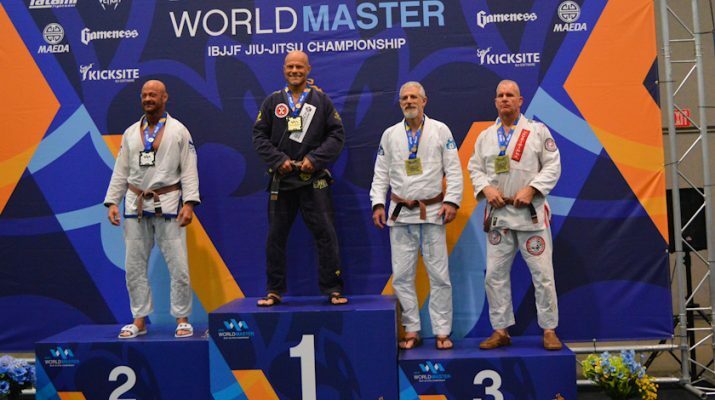 The Masters 5 medium-heavy bracket consisted of 13 competitors including myself. 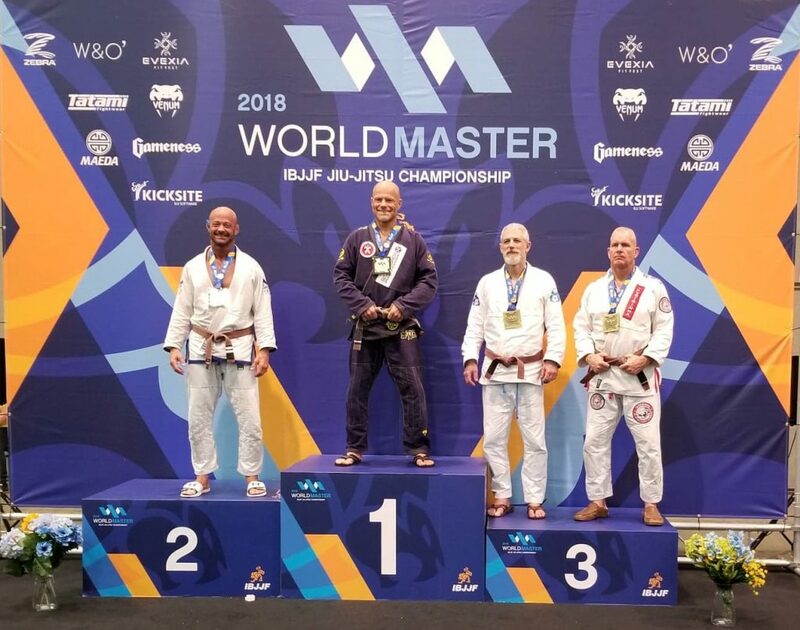 I had been thinking about the IBJJF Masters Worlds since losing in the first round last year to the eventual champion. The check scale had me at 3 pounds under at noon and I was scheduled to compete at 4:45 PM. My goal is always to have a couple of pounds to spare, get on the scale with food and water in hand 3 hours ahead of time and make sure that I can eat/digest and stay hydrated. I spent the time cheering on a few of my teammates while I waited for my first match. One of my teammates also is a photographer. He happened to be there when my opponent was standing in my closed guard. I thought it was a good opportunity to give a cheesy smile while I contemplated my next move. 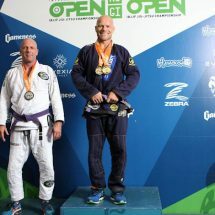 My quarter final opponent entered a good spider guard as I finished my take down. It took a while to shut down his spider guard and he came close to starting a sweep a couple of times. The semi-final opponent pulled guard right away. 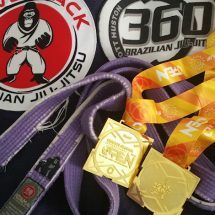 I was able to get to his half guard and eventually sumbit via a brabo choke. The final was a close one for sure. He pulled guard and tried an immediate sweep. 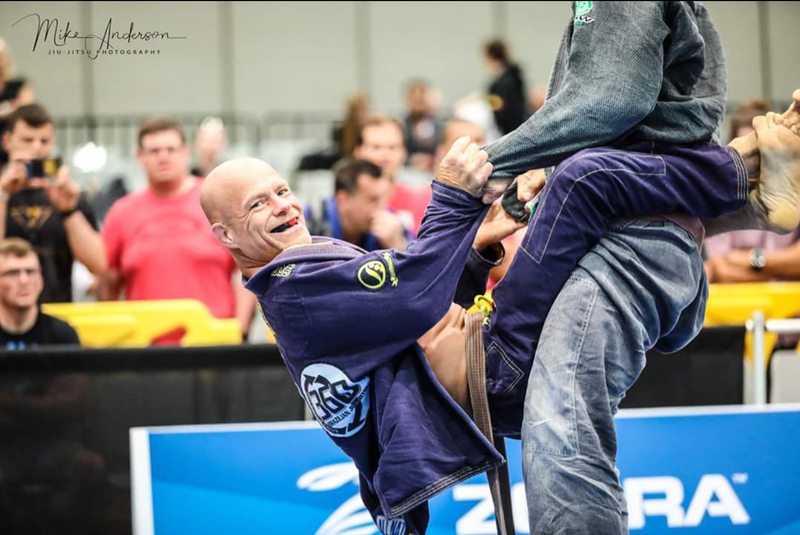 I countered and ended up in his closed guard, which soon went to half guard. The next few minutes were spent going in and out of his lock down in half guard. 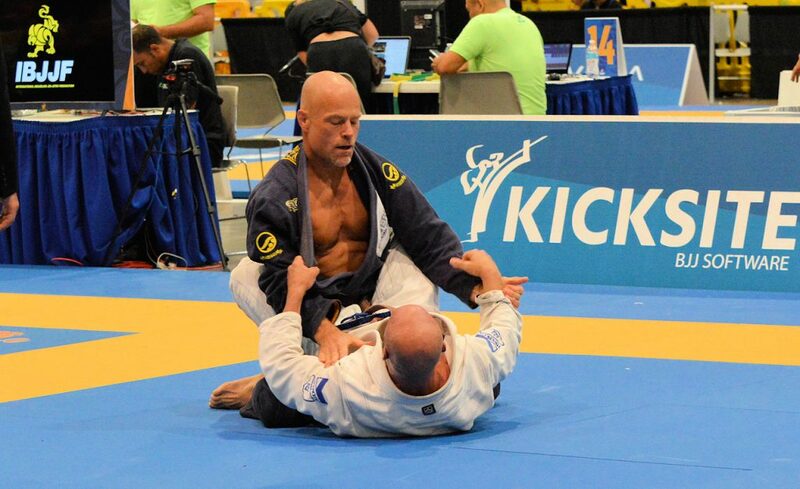 Eventually I passed with a knee slide, but I was not able to hold it long enough for the 3 points. It did give me one advantage point, which ended up being the only score of the match. 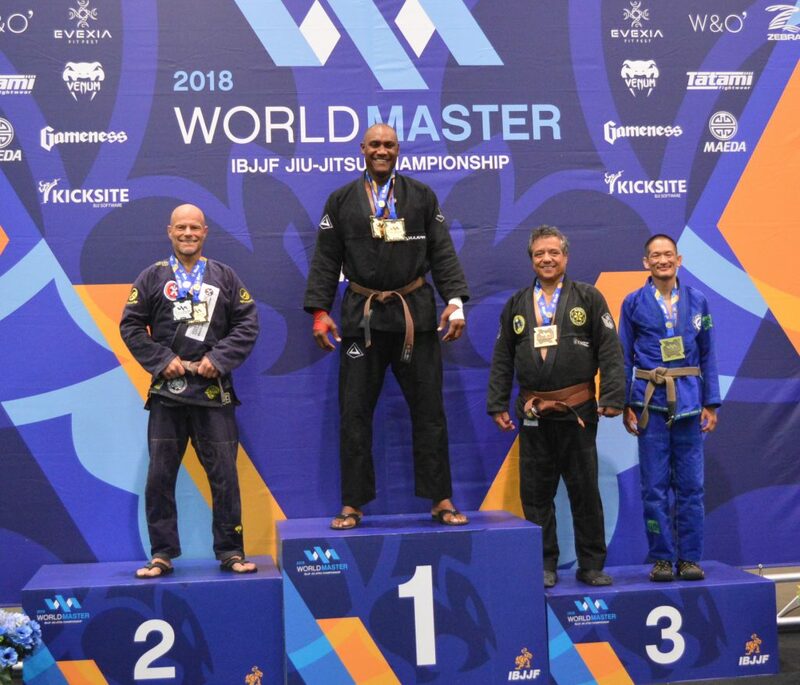 It was quite a day and a great feeling to get to the top of the podium at Masters 5 Medium Heavy Brown. I have many poeple to thank for allowing me the opportunity to attempt this! Six men signed up for the absolute including myself. Again, some tough matches. The final was a humbling experience and my opponent undeniably deserves to be the champion!